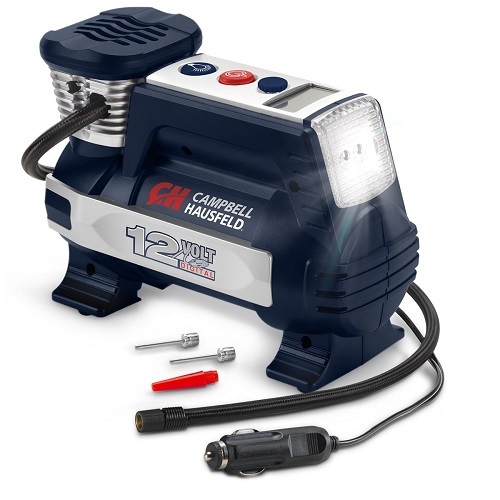 The Campbell Hausfeld digital powerhouse 12-Volt inflator (AF011400) takes the worry out of any roadside emergency. 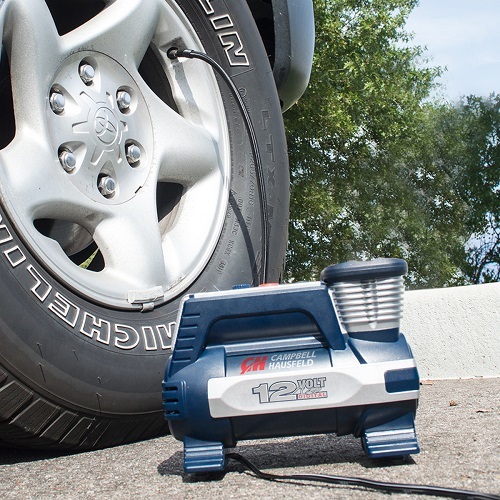 Simply program the desired PSI level (100 maximum PSI) for your Tire, tractor, Motorcycle, ATV, car, Truck, SUV or RV, connect the leak-proof threaded air hose valve & turn this little powerhouse on! The LED light provides the proper lighting for nighttime inflation. 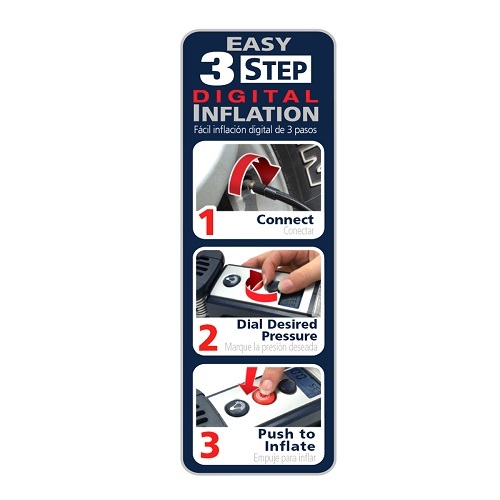 The cooling fan kicks on as needed to prevent overheating and allows for 30 minutes of continuous use. 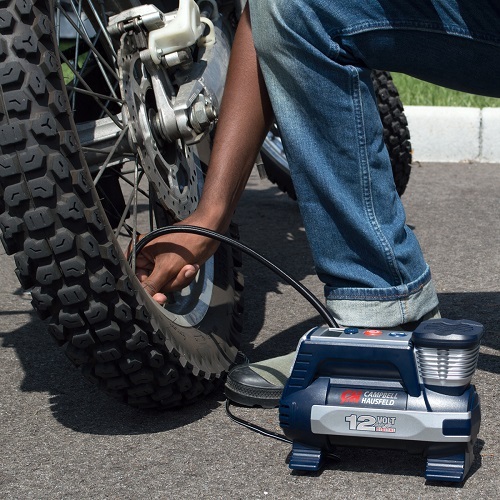 Once the desired pressure level is reached, the motor automatically shuts off. Just disconnect and go! 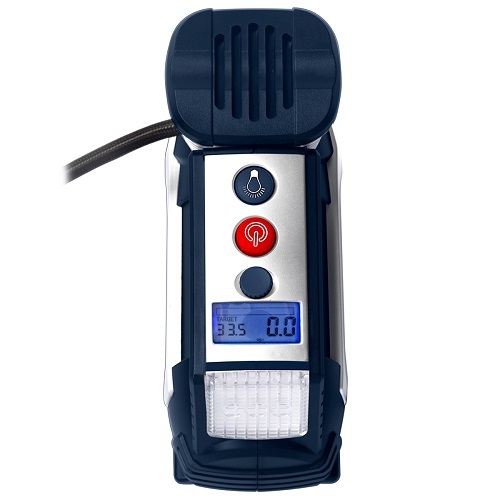 the AF011400 also includes a sports needle and inflation nozzle allowing for recreational inflation usage.